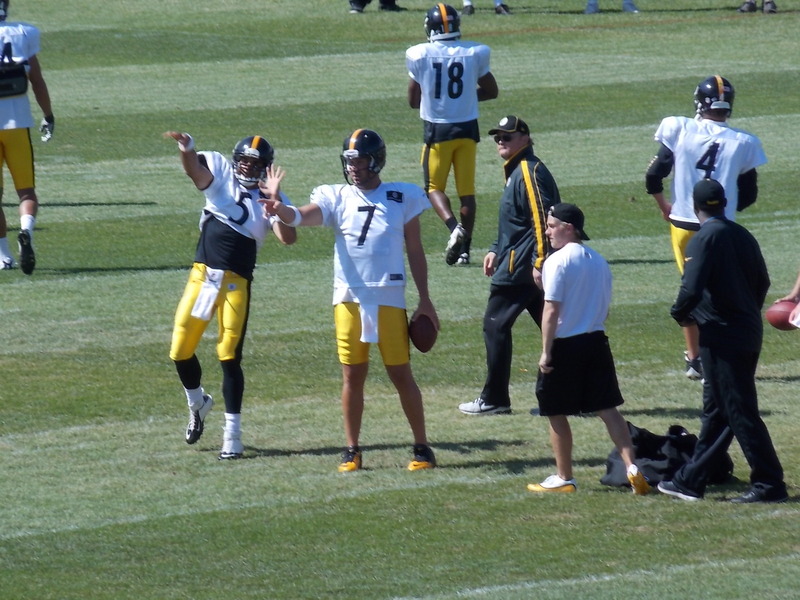 The 2015 Steelers will kick off training camp in Latrobe, PA at St.Vincent College on July 26th, a day after players are set to report on Saturday the 25th at 4pm. The team announced today that the players will be asked to be ready to roll a week earlier than usual because they are playing in the Hall of Fame game Sunday, August 9th vs the Minnesota Vikings in Canton, Ohio. The first practice in pads will be July 29th and the annual night practice at Latrobe Memorial Stadium is set for July 31st. The Steelers will hold one other evening practice at 5:30 p.m. on Aug. 12 at Saint Vincent College. The final open practice is Aug. 21. Afternoon practices begin at 2:55 p.m.
Saturday, July 25 — All players report by 4 p.m.